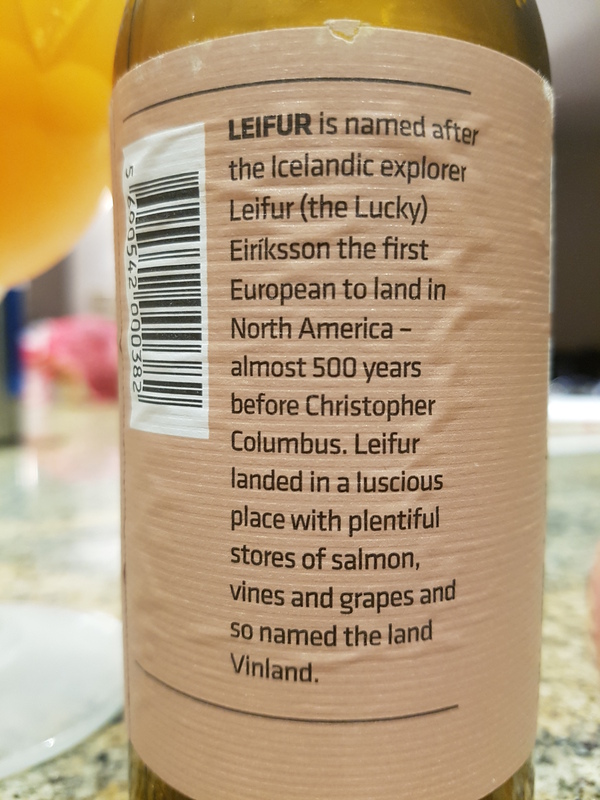 Leifur Nordic Saison – Borg Brugghus (Reykjavik, Iceland) | Justintoxicated. Visual: Pours bright marmalade orange with a smallish dissipating head, ringed with spotty island retention, clusters of micro steady streams. 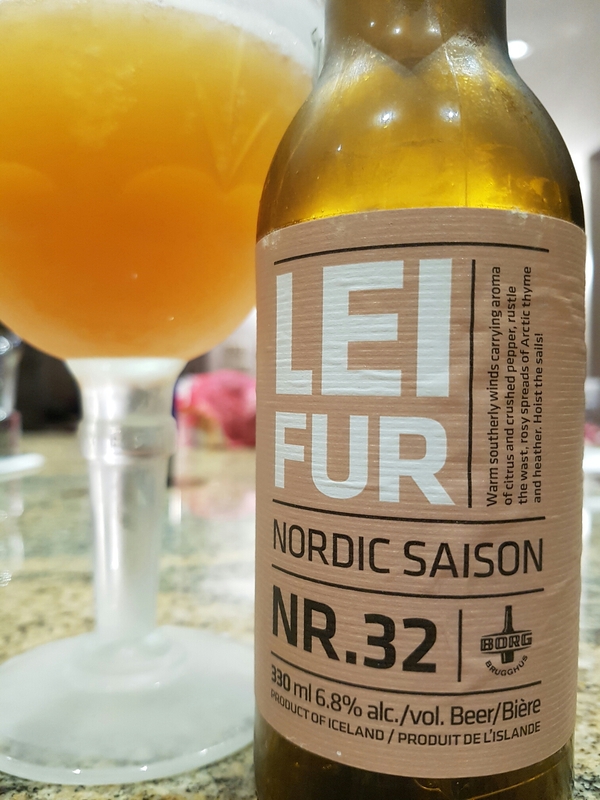 Summary: This drinks more like a Belgian tripel with it’s chamomile honey profile as opposed to the banana-citrusy wheat malt I usually find in typical saisons. There’s also a bit of saltiness in the mids which I found distracting.